Huy Fong Foods, makers of the venerable Sriracha Sauce – also called “Rooster Sauce” because of the iconic Rooster on the plastic squeeze bottle, are making the news at their brand new Irwindale, CA plant. Odors are causing an uproar in the community. Exclusive video from CBS This Morning gives us a glimpse into the new Huy Fong Foods Sriracha factory, as well as some rare conversation with the shy and modest owner and founder, David Tran. 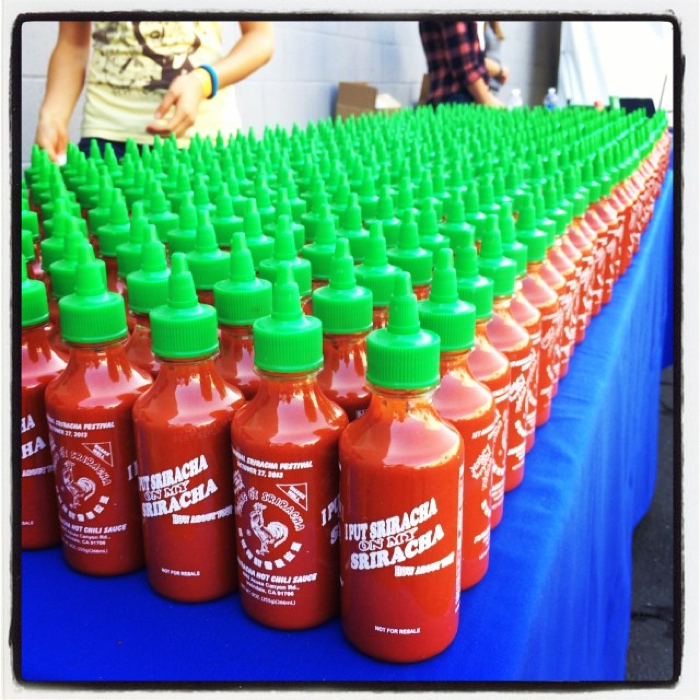 Check out Griffin Hammond’s upcoming Sriracha Movie documentary. Leave a Comment below about your favorite way to use Sriracha sauce! You’re not alone, Erica, that’s for sure! I’ve not tried mixing it in ranch yet… I’ll have to do that.